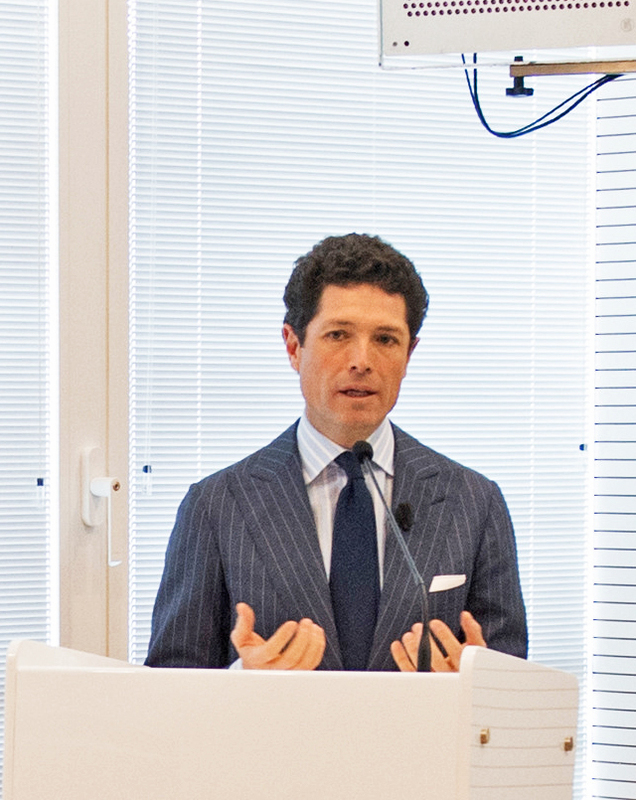 Matteo Marzotto, Vice Executive President of the Italian Exhibition Group, welcoming participants to the seminar. Gabriele Aprea, President of Club degli Orafi, addressing the seminar. Dr. Wilfried Hoerner, Chairman of the Responsible Jewellery Council and co-CEO at Argor-Heraeus SA, delivering a keynote presentation on responsible sourcing in the precious metals sector. Andrew Bone, Executive Director of the of the Responsible Jewellery Council, providing an overview of his organisation to the seminar. 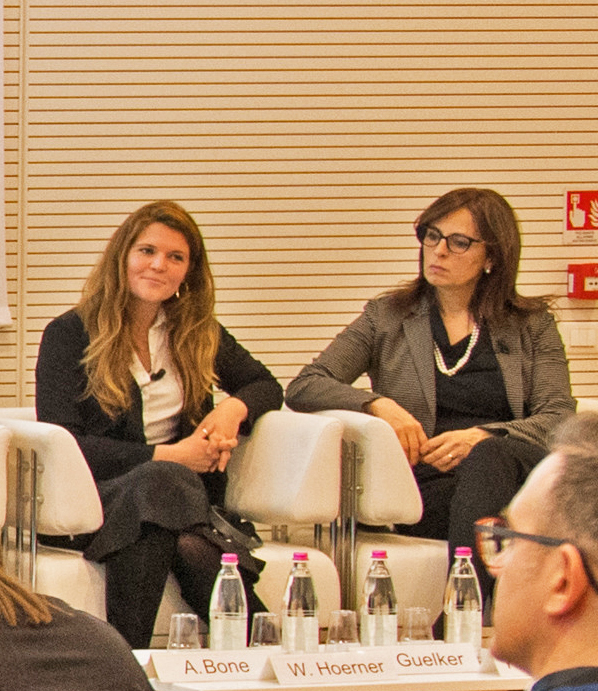 Daphne Guelker (left), Responsible Sourcing Program Manager at UL Consumer and Retail Services, and Francesca Angeloni, Business Development Manager for the Jewelry and Watch Industry in Europe at UL Consumer and Retail Services. 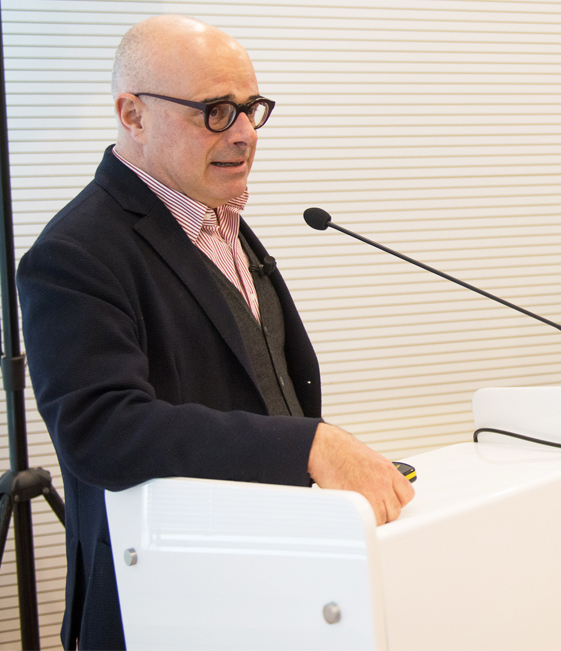 Transparent methods of ensuring the integrity of the jewellery industry’s chain of distribution were the focus of a seminar held during the VICENZAORO January trade fair on January 22, 2017, in Vicenza, Italy, hosted by CIBJO, the Italian Exhibition Group (IEG), and Club degli Orafi. The seminar was part of a series of educational events organized by CIBJO and IEG, and is part of their joint programme that is endorsed by the United Nations Economic and Social Council (ECOSOC), to support Corporate Social Responsibility and sustainability in the jewellery sector. 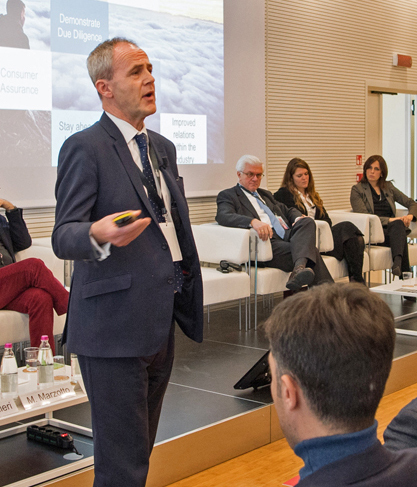 Speakers and members of the audience gather on the podium, following the CSR seminar at VICENZAORO on January 22, 2017, hosted by CIBJO, the Italian Exhibition Group and Club degli Orafi. 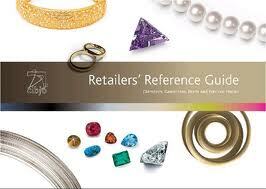 Among the organisations presenting at the seminar were the Responsible Jewellery Council, a key international standards-setting and certification organisation for the jewellery industry, which has formulated the RJC Code of Practices – an international standard on responsible business practices for diamonds, gold and platinum group metals. 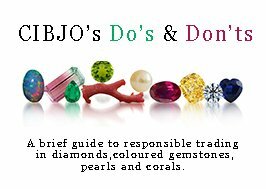 The code addresses human rights, labour rights, environmental impact, mining practices, product disclosure and other topics in the jewellery supply chain. 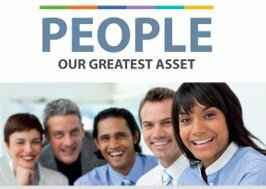 It is supported by standards guidance, an assessment manual, and tools and training to support implementation and audits. RJC also has created the RJC Chain of Custody Standard, which is applicable to precious metals such as gold, platinum, palladium and rhodium, which is based on its Code of Practices, as well as other comparable standards. Among other things it covers artisanal and small-scale mining and gold refiner due diligence audits. Also participating was UL, one of the world’s largest providers of supply chain auditing and monitoring services. 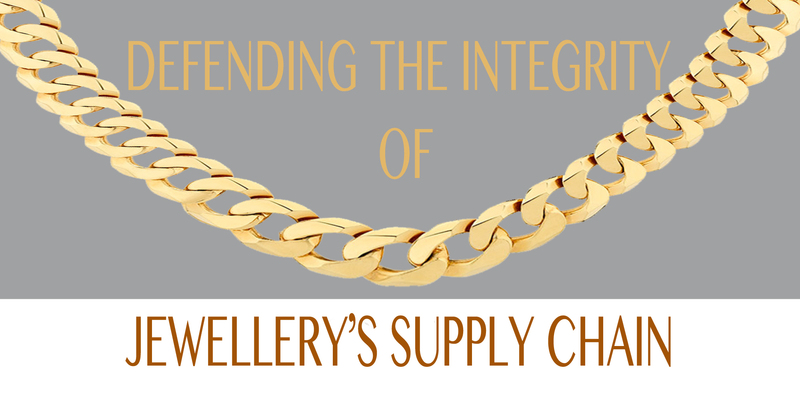 Its Jewellery Division conducts testing and quality assurance, carries out audits and assessments, including those associated with social impacts, and provides responsible sourcing solutions, including capacity building, training and education. 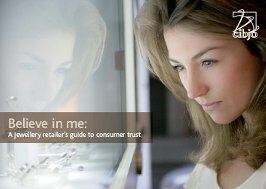 UL is one of the most prominent organisations in the jewellery industry conducting third party audits to ensure that individual companies comply with a variety of standards, including the RJC Code of Practices and Chain of Custody Standard, the EICC-GeSI Conflict Free Smelter Program, the Fairmined Standard for Gold from Artisanal Mining, the Fairtrade Standard for Gold, the London Bullion Market Association (LBMA) Responsible Gold Good Delivery standards, and others. 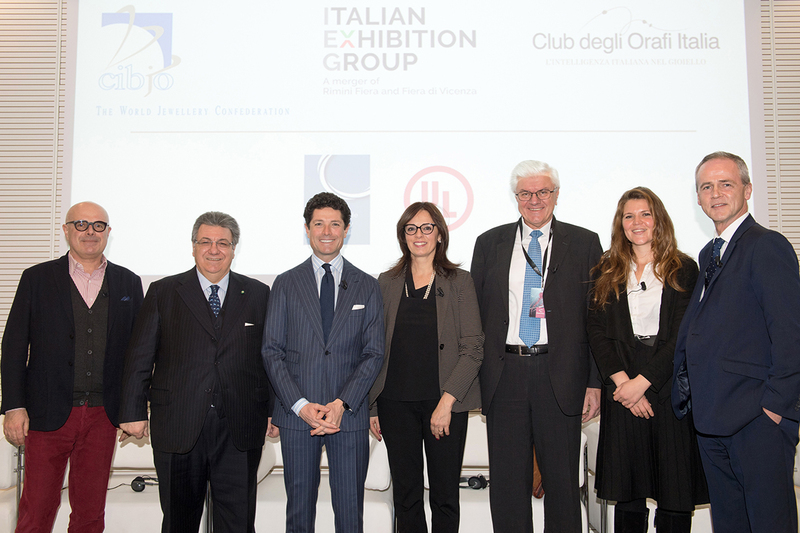 Seminar presenters (from left): Gabriele Aprea, President of Club degli Orafi; Gaetano Cavalieri, President of CIBJO; Matteo Marzotto, Vice Executive President of the Italian Exhibition Group; Francesca Angeloni, Business Development Manager for the Jewelry and Watch Industry in Europe at UL Consumer and Retail Services; Wilfried Hoerner, Chairman of the Responsible Jewellery Council and co-CEO at Argor-Heraeus SA; Daphne Guelker, Responsible Sourcing Program Manager at UL Consumer and Retail Services; and Andrew Bone, Executive Director of the of the Responsible Jewellery Council. Dr. Wilfried Hoerner, who was elected chairman of the Board of Directors of the Responsible Jewellery Council in June 2017. 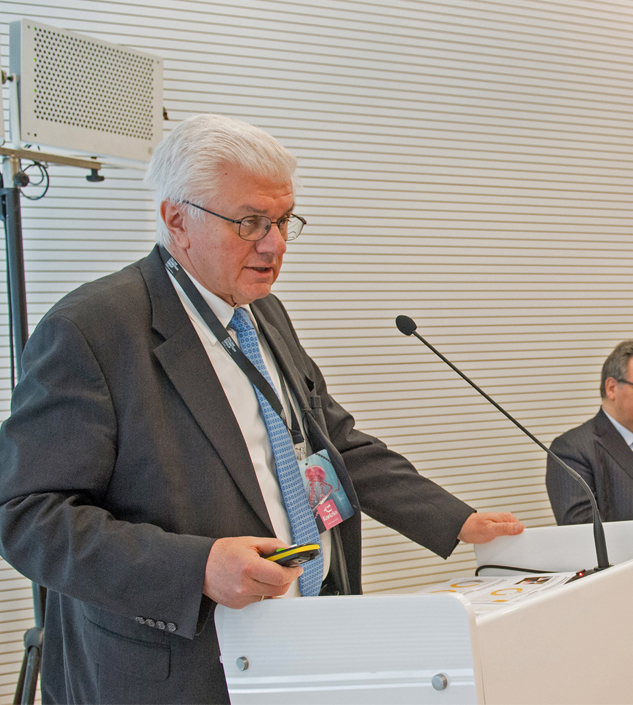 He is also Associate and co-CEO of Argor-Heraeus, and during his more than 36-year association with the company has filled a variety of key roles, both at its headquarters in Switzerland and at its large subsidiary in Hong Kong. Argor-Heraeus has been a key player in introducing responsible sourcing practices in the precious metals sector, and Dr. Hoerner has played a critical role in this regard, representing the company in dealing with organisations such as RJC, the London Bullion Market Association, the World Gold Council, the Swiss Better Gold Association, the OECD, Fachvereiigung für Edelmettalle (the consultative panel that advises the European Union on responsible sourcing legislation), and Eurometaux, which an umbrella association representing the interests of the non-ferrous metals industry towards EU policy makers. He also enjoys close relations with the governments of mining countries in Latin America. Andy Bone, who has has served as Executive Director of the Responsible Jewellery Council since June 2015. He joined RJC after a 38-year career at De Beers, beginning his career as a rough diamond expert, and living and working for six years in central Africa. For his last 15 years at the group, he headed its Government & Industry Relations division, where he contributed to the development and implementation of the Kimberley Process, co-founded the Diamond Development Initiative, served on the board of the Extractive Industries Transparency Initiative and was Vice President of the World Diamond Council. Francesca Angeloni, UL’s Business Development Manager for the European Jewellery and Watch Industry, with responsibility for developing a new business strategy in Europe. She brought to the position many years of professional jewellery experience, as an investment diamond advisor, as an on-air TV jewellery sales expert for HSE24 and as owner of a personal jewellery line. She began her career as a sales professional in a jewellery store in Italy. Daphne Guelker, UL’s Responsible Sourcing Program Manager Consumer and Retails Services. She is a qualified lawyer who leads law and international standards research efforts in support of UL’s social and environmental auditing services in more than 100 countries. CIBJO President Gaetano Cavalieri introducing members of the panel and the Jewellery Supply Chain Integrity seminar on January 22, 2017.